Korea's fashion scene is one of the most rapidly growing, with Seoul Fashion Week now one of the most anticipated occasions in the fashion calendar. There's so many cool brands coming out of the region at the moment, so who exactly should you be keeping your eye out for? 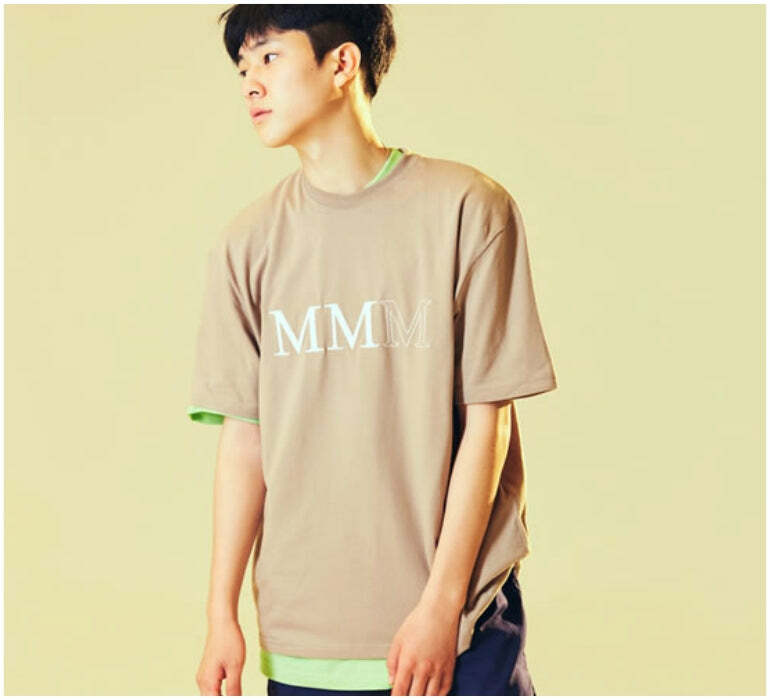 We bring you the top 6 Korean clothing brands that you should definitely know about. London? Done it. Paris? Over it. When it comes to global Fashion Weeks, it can feel a bit same-old-same-old. But there's a new kid on the block, and the fashion world is looking to the far East for creative innovation and street style influences. So, your knowledge of Korea might be more based on politics and their controversial Northern neighbours rather than their fashion industry, but trust us, you'll be hearing a lot more from these brands. There's even a whole section during New York Fashion Week dedicated to the country - Concept Korea - where the hottest talents display their latest offerings to international buyers. The asian designer clothes market is now one of the most expensive in the world, and Korean men's fashion includes some of the most impeccably dressed men around - so if you haven't already, it's definitely time to pay attention. Here's a run down of the top six Korean brands you should know about. 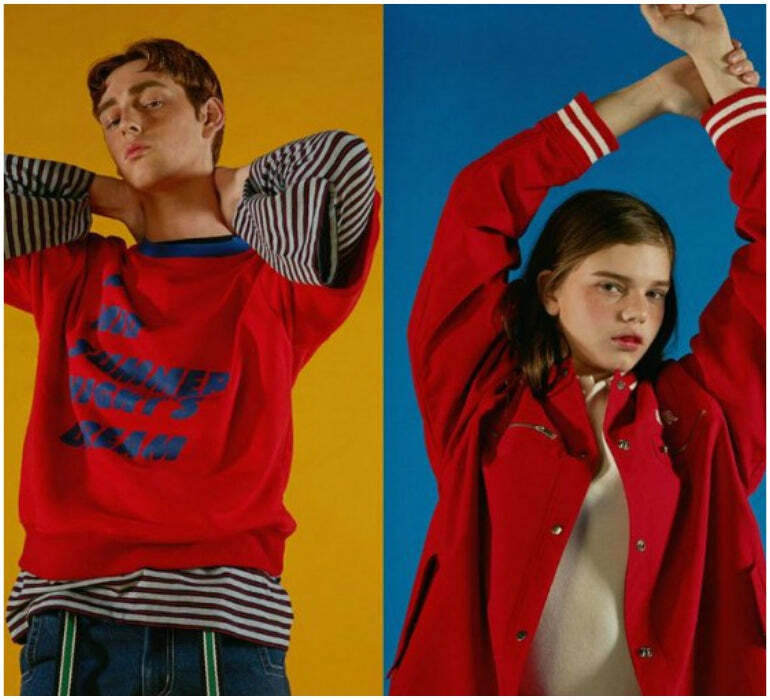 If you haven't heard of Ader Error (or seen them reposted a million times over on social media), you've probably been living under a rock. The brand was founded in 2014 by a collective of Seoul-based friends, who combined unisex garments with their design staple loud colours and cheeky slogan graphics. They're probably best known for their unusual cutting and tailoring techniques, reworking classic fabrics like corduroy, denim and thick knits to create the most Instagram-worthy pieces around. Just check out their sliced-and-diced jeans. Ader Error has even been hailed as the Vetements of Korea - and isn't dissimilar in ideology either, with the creative minds behind Ader Error still anonymous, much like the beginnings of Gvasalia's Vetements. 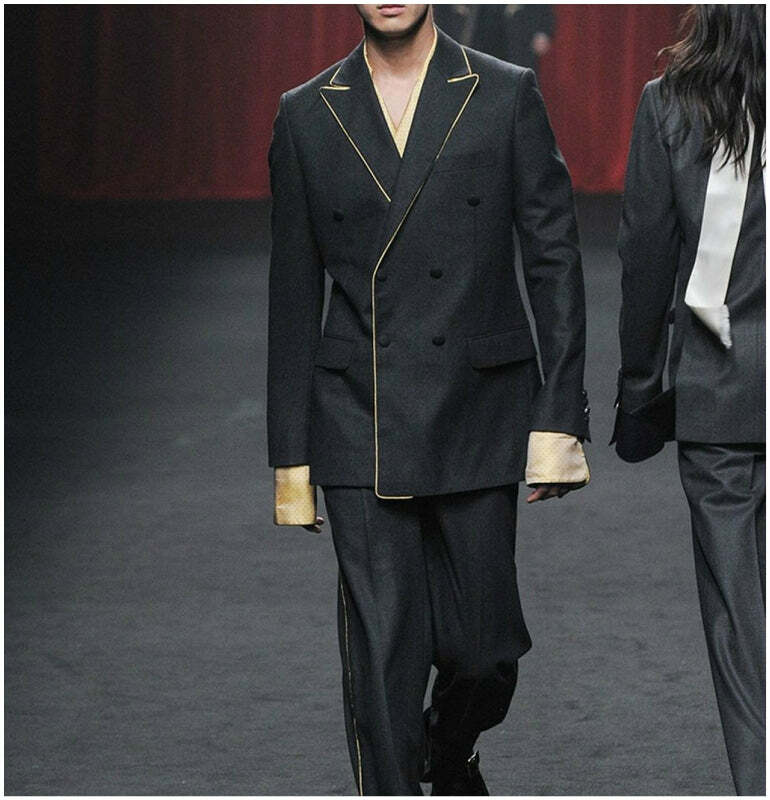 Sharing their time between Seoul and Paris, Songzio has gained a massive following for its delicate reworking of the classic black suit. The brand was founded in 1993 and now boasts three diffusion lines, all based in Korea, after breaking the international market when they first showed at Paris Fashion Week. Songzio pretty much epitomises Korean male fashion, and combines delicate nature-inspired artwork with classic structuralism. Using soft blends of oils and colours, Songzio's abstract designs add a contemporary touch to classic garments. Granted, they're often a bit of a statement (but that's what Korean clothing is best known for), but their more subtle offerings are a lot more wearable and definitely deserve a look. Founded in 2013 by designer Sanghyuk Han, Heich Es Heich has gained a huge reputation for their laid-back luxe approach to streetwear. The name might sound more German than Korean, but Heich Es Heich is the literal pronunciation of the founder's initials - H, S and H.
Their collections are most often dominated by slouched casual suits, oversized outerwear and sporty staples, making them an interesting addition to any casual wardrobe. The brand has even branched into a new younger unisex counterpart, Heich Blade, so watch this space for more exciting things to come from them. Stepping away from the streetwear that dominates Korean street style, Ordinary People offers a more sophisticated, gentlemanly look. Founded in 2013 by designer Jang Hyeong-Cheol, Ordinary People was the youngest ever brand to show on the catwalk at Seoul Collection, going on to win CFDK's New Designer of the Year (the Korean equivalent of The British Fashion Council) AND showing their latest collection in New York. Big Stuff. Paradoxically, Ordinary People definitely isn't a style for the everyday man. It exudes elegance, and is probably reserved for those with high-level sartorial tastes, with special attention paid to detailing and fancy fabrics - their collections wouldn't look out of place on an old-school Hollywood heart-throb. But their pieces always have that contemporary twist, like contrast piping and pairing suits with an oversized teddy bear coat. It goes without saying that models these days have a massive influence off the catwalk, and 87MM is a prime example. 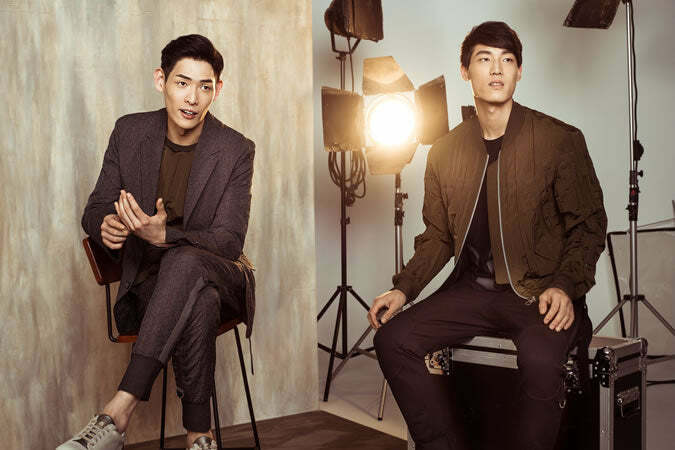 Founded by three of Korea's top models in 2013, Wonjoong Kim, Chan Kim and Jiwoon Park, 87MM started as an online shopping destination, but became so popular that the trio opened a physical store in Gangnam (don't do the dance, we know you were thinking it). 87MM sold out their first collection within four days, and have now got such a following that they've moved to show at Paris Fashion week. Coming from a bunch of models, it's no surprise that 87MM's designs focus on Korean street fashion, creating an easy-to-wear look that's ideal for the nonchalant run between fashion week shows. Expect relaxed, tailored trousers, spliced-coloured rollnecks and statement coats throughout their collections. Designer Woo Youngmi founded her namesake brand in 2002 after the success of her first brand, SOLID HOMME, which saw her become the first female menswear ready-to-wear designer in Korea. 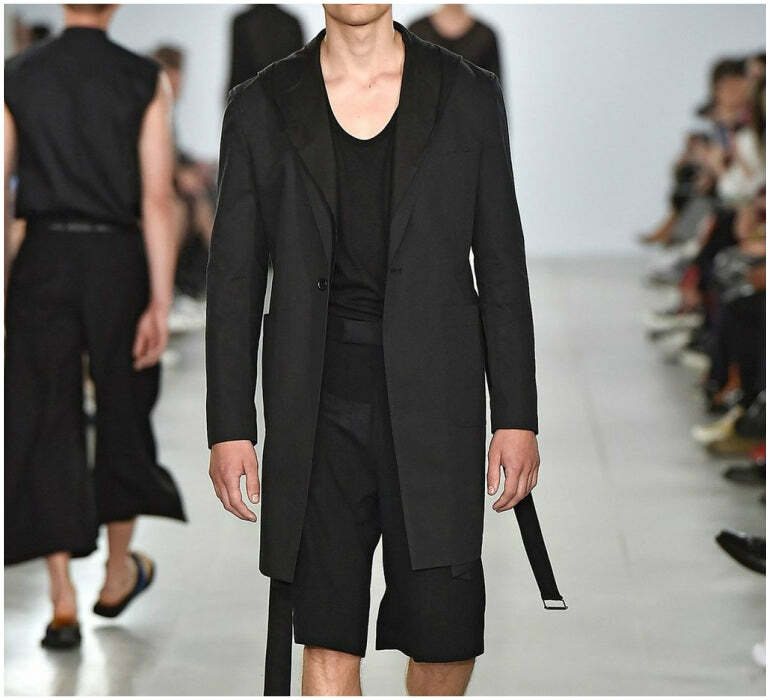 With her eyes on the global stage, Wooyoungmi also branched out to show their collection at Paris Menswear Fashion Week, and is now sold at the likes of Harvey Nichols and Matches. Their designs combine futuristic direction and urban aesthetics, and are largely made up of bold outerwear pieces and minimal silhouettes with unexpected details and contemporary clean-cut styling. Wooyoungmi also takes big inspiration from the art world, collaborating and supporting artists in their designs. Korean fashion for men is undoubtedly having a huge moment in the spotlight, and it's a lot more serious than the questionable Kpop fashion that Korea might have had a reputation for. But it's now caught everyone's attention, and Seoul fashion week is definitely the place to be this season thanks to these design talents. So keep your eyes out for Korean clothes, as we're sure they'll continue to take over the menswear scene.